Jim Shelton would like to put in a plug for the Chan Zuckerberg Initiative in education. Shelton has been a deputy secretary for USED in addition to logging time at the New Schools Venture fund and the Bill and Melinda Gates foundation, so he seems like a natural choice to head up the Chan Zuckerberg Adventure in Rich Educational Dilettantism. Shelton's essay over on Medium is a fine example of how this particular brand of personalized (sic) education is being sold. Personalizing education will make the world more equitable and just, apparently. We'll get back to his pitch in a minute. The most important lesson we've learned is to focus on problems we have some unique ability to help solve. This, unfortunately, does not seem to mean "focus on areas in which we actually have knowledge and expertise." Zuckerberg wants us to know that the CZI is shaped by two aspects-- "a truly long term approach and a technology mindset." I am not sure this is good news for those of us who work in education. A lot of today's debates pit district schools against charter schools, or reformers against unions. But over the long term, we need to build tools to empower every teacher at every school to provide personalized instruction and mentorship to every student. Instead of engaging in zero-sum debates, we think we'll help more by building tools to help all teachers everywhere. So there it is. Computers for everyone. Software for everyone. Mentors for everyone. Because Zuck believes in the "magic of technology" and its ability to "help social change scale faster." There are teachers and schools doing swell new things, and everybody should be like them. You know the example he's going to cite-- Summit, which " has helped encode their teaching philosophy in tools that will be used in more than 300 district, charter, and private schools this fall." This is an accurate statement of what is wrong with his idea of "personalized" learning-- it's not personalized at all. When advocates for personalized learning complain that it's not at all about sticking a student in front of some computer software and where did anybody get the idea that's what personalized learning is about-- well, the answer is right here. Zuckerberg has made absolutely clear that he thinks personalized learning is about computer software. And his quote also implicitly acknowledges one other thing-- that software is fully soaked in whatever biases or "philosophies" its creators bring to the table. Final point-- those 300 schools will no longer need actual teachers. Just somebody to make sure the students are paying attention to their software and not woolgathering. How do you sell what is essentially one more version of Rocketship Academy and other failed "let's chain this student to a computer" models? Well-- you link it to the idea of personalization, even if you have to say nonsense to do it. The study proved that the large majority of students had the capacity to learn much more if the experience was well designed and tailored to their needs. No, not really. The study proved that students do better if they are motivated and have a tutor. This is a leap. A study showed that students do better with human tutors, so software-based "personlization" will work is like saying that a study shows that since vegetable and fruit consumption helps keep children healthy, every child should grow up in a room with a picture of apples on the wall. But the entire pitch for CZI-style personalization depends on conflating entirely different things. Sure. But what evidence is there that a program like Summit-in-a-box provides those conditions? Playing fast and loose with the definition of "fact" here, but I agree with the sentiment. But this does not describe a program like Summit-in-a-box, which comes pre-encoded with the teaching philosophy of someone who isn't even going to meet the students who will use it. Shelton leans heavily on the idea that children of privilege are the ones who get this kind of education. He does not mention at all the other obstacles that children of privilege don't face. His implication-- if we provide "the kind of focus on individual needs and support that define privilege and make it available to all " then, well, we've fixed the whole equity problem. That vision embraces the role of social-emotional and interpersonal skills, mental and physical health, and a child’s confident progress toward a sense of purpose. Indeed, such a sense of purpose is not just inherently vital, but also foundational to academic and professional success. Well, beyond the scariness of data mining the character qualities, there's a whole other discussion to be had about a sense of purpose and how wealth and poverty affect such a sense. But he wants to get us back to the sales pitch. Shelton bats down the criticism that there's no research proof for personalized learning, and I'll give him that one because education "research" is mostly bunk, anyway. But there isn't really any other evidence of any other sort, either. But he's winding up for the pretty part of the pitch. Personalized learning is totally NOT some sad school in which "a computer screen intermediates or substitutes for a child's relationship with a teacher, and where an academic measure is the only one that matters." And that's all very pretty, but it is simply the wiggly end of a bait and switch routine. Consider what Leonie Haimson found when she visited a Summit charter. It wasn't anything like what is described in the verdant prose above, but students at screens in a sterile environment where teachers are background players. Consider the uproar Summit's program has created in some quarters. Or consider AltSchool, another Zuckerberg favored Silicon Valley personalized school that has decided to get out of the school biz and into the software biz, even as parents have voiced complaints that it isn't very personalized after all. Personalized Education means many things to many people, but the most notable gap in definitions is the gap between what is promised in glowing prose, and what is actually delivered. It's pretty to imagine a school where every child has a personal tutor, a teacher who crafts every lesson to match that student. But nobody is willing to foot that bill, and so what we get is a stripped down version, and that always seems to take us right back to the child-chained-to-computer model which is more cost-effective and gives great ROI. Personalized Learning cheerleaders like Shelton can talk about how personalized learning will somehow "prepare more students for success and fulfillment," as if a swanky school is the only thing poor children lack. They can make lots of pretty sounds about an idealized personalized learning world, claiming that the promise is so great that research isn't needed. But the rest of us have to always keep our eyes on what is actually delivered, because so far personalized learning has failed to live up to the pretty, pretty hype, and the fact that a really rich guy is paying for that hype doesn't change a thing. "Zuckerberg has made absolutely clear that he thinks personalized learning is about computer software." Is that what Zuckerberg thinks, or is that what Zuckerberg's bank account thinks? 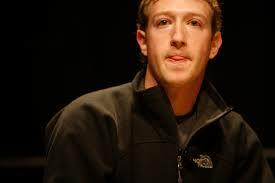 Because I can guarantee you that when it comes to Zuckerberg's own daughter, Zuckerberg thinks nothing of the kind. What is the difference between a software engineer and God? God doesn’t think (s)he’s a software engineer! I'm a software engineer and against what Zuckerberg is doing and the misuse of technology in schools. I assume you don't like people making snide jokes about all teachers. Are you serious? Teachers would be more than happy to trade the relentless deluge of criticism and blame we’ve endured as a profession, for a snide joke or two. The media, know-nothing amateur reformers, celebrities, techies, politicians, and the general public have been mislabeling us as lazy, ineffective, boring, apathetic, and failures for nearly two decades. Snide jokes? Ha! Imagine if the country’s social ills and a lack of political will to address the underlying problems were blamed on code writers. The reason Zuckerberg thinks he can switch in software in place of a human tutor is that he thinks education consists of facts and curriculum. In that case, it makes little difference who delivers it. Actually, though, education is a process of mental growth that constructs knowledge and tests it against the environment. In this case, it makes a huge difference to work with another human, whose mind works the same way, particularly if that human understands, either implicitly or explicitly, the workings of the human mind.